I asked you lovely lot on Twitter (@justlucyslife) what you'd like to see in today's post, and you chose a Christmas make up look! 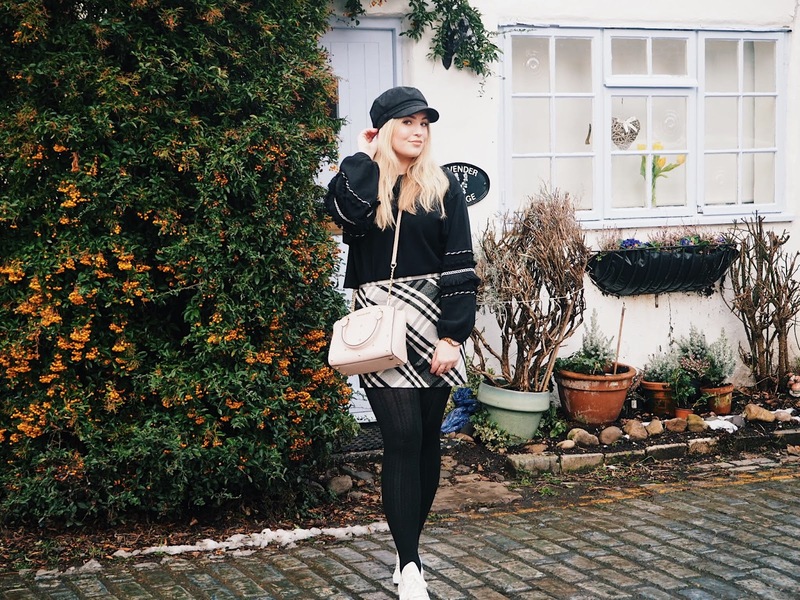 This look just radiates all of the festive vibes you could wish for! If the super glittery gold eyes, the rosy cheeks and the red lipstick doesn't make you feel like Christmas then I don't know what will. For my base I used Charlotte Tilbury's Magic Foundation along with Maybelline's anti-aging concealer for blemishes and under the eyes, Rimmel London's Stay Matte powder to set, Soap & Glory's Solar Powder to contour and add a bit of warmth to my face. I then used Benefit's Rockateur blush box and Mac's Yum Yum Yum for an extra rosy glow on my cheeks, and then finished off with my Colourpop highlighter in the shade Lunch Money. For my eyebrows I used my current favourite eyebrow product which is Benefit's Precisely, My Brow pencil in the shade 3 for a sleek but quite natural look, and then moved onto eyeshadow! For my eye make up I used quite a mix of shadows and products! For my transition shade I used Finish Sensual from Zoeva's Caramel Melange palette. I also used Wax Paper from this palette in my inner corner and on my brow bone, Almost Burnt all over my lid and Edible Gem in my outer corner. I then took my beloved Bon Bon's palette from Too Faced and used Almond on my bottom lash line to open up my eyes and make them more smokey, and Bordeaux in my crease. Then... it was time for glitter! I actually created this sparkly explosion using 2 products from Tanya Burr's 12 days of Christmas advent calendar! I took the Treasured glitter liner and spread it across my lid to use as a kind of base, and then took the glitter pot in the shade Champagne Sparkle and dabs it across my lid so it stuck to then liner. I finished off with my favourite red lipstick for this time of year which is So Good For You from Mac and my super festive 'Christmas Day' look was complete. I'm so pleased with how this look turned out and am especially pleased with my eyes, I really feel like I'm finally upping my eyeshadow game! 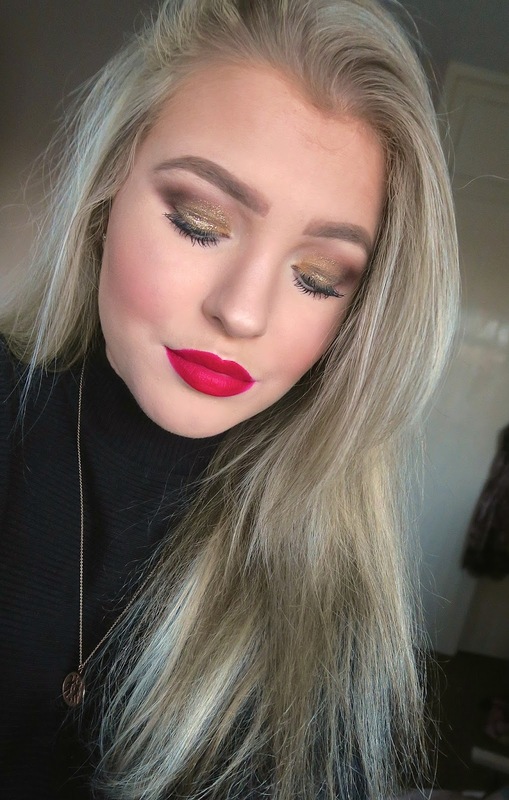 What do you think of this festive make up look? You look gorgeous. I might try a gold/bronzey kind of look for Christmas.